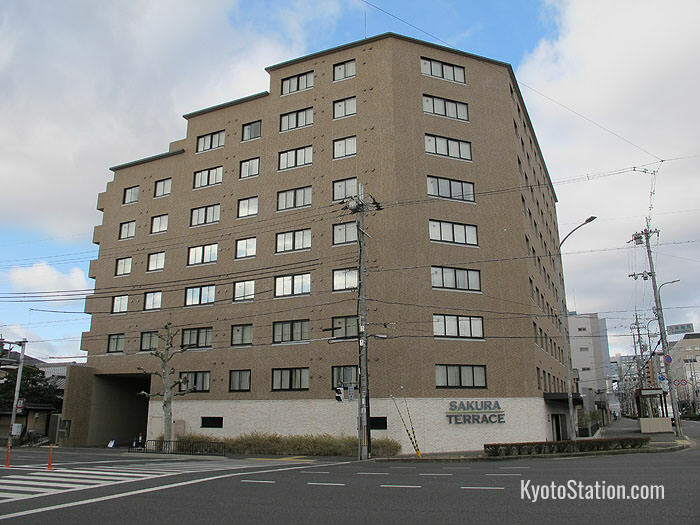 Sakura Terrace is a good value business hotel which opened in October 2013. Rooms are clean and comfortable, staff are friendly, and there are plenty of facilities to make sure you fully enjoy your stay. 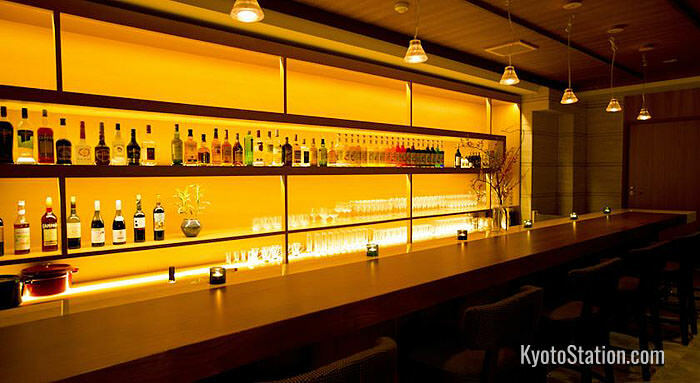 Sakura Terrace is very easy to find as it is located on the corner of Kujo and Karasuma Streets and right above Kujo Station on the Karasuma Subway Line. 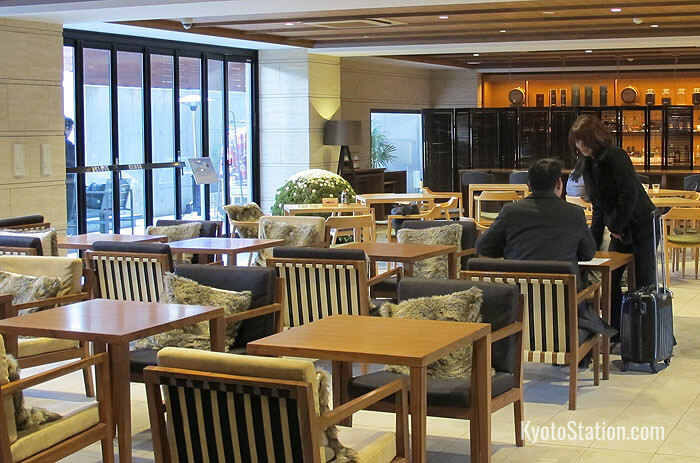 From Kyoto Station it is a ten minute walk south from the Hachijo-Higashi Exit. Reception staff can advise you on how best to get to the key sightseeing locations. However, Toji Temple is just a ten minute walk to the west, and there is a bus stop one minute from the hotel from where you can catch buses for the Kiyomizu Temple and the Gion entertainment district. 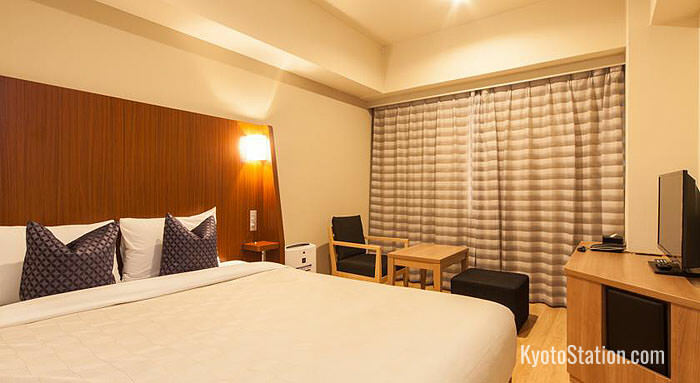 The Sakura Terrace Hotel has single rooms, double rooms and twin rooms available. There is also a “Universal Room” which is suitable for wheelchair access. All rooms are comfortably furnished with polished wood floors. You can reserve various plans for your stay that include breakfast, breakfast and dinner, or no meals at all if you prefer to eat out. All rooms come with an LCD TV, a refrigerator, air conditioning, a shower and toilet, nightwear, a hair dryer, and the usual complete set of toiletries. 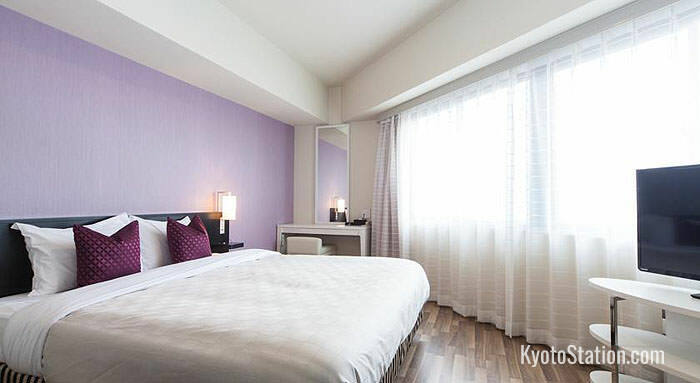 The Sakura Terrace Hotel has paid parking, a free self-service laundromat, a paid dry cleaning service, free Wi-Fi internet access throughout the hotel, photocopiers, vending machines for both soft drinks and alcoholic beverages, and free cable TV in all rooms with music and cinema channels and the BBC. The reception desk is open 24 hours a day. Some reception staff speak English and they can help you to make restaurant reservations, call taxis, and advise you on finding the best tourist sites. Breakfast is served from 6:30 each day till last orders at 9:30. The hotel prides itself on its fresh baked bread and handmade sandwiches, with fillings that include, ham, salad, and seafood. The restaurant coffee is also freshly roasted in house. Juice, fruit, salad and cooked vegetables are also available. Between 9:30 and 18:00 soft drinks are available in the dining area. 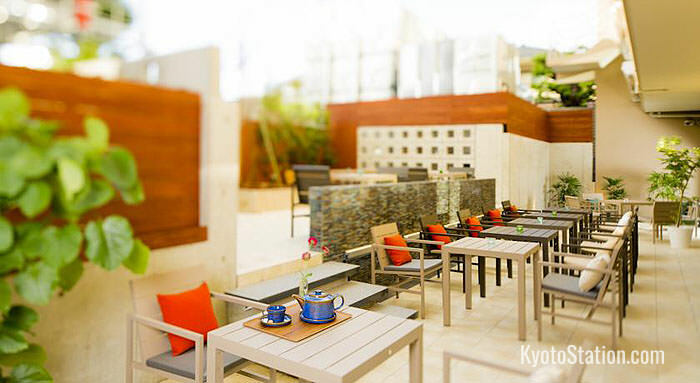 From 18:00 light dinner meals and snacks are available and can be taken in the dining room or on the hotel terrace. The hotel bar is open between 18:00 and 23:00 and serves, beers, wines, spirits, local sake varieties, original cocktails and all at very reasonable prices. Also a free welcome drink is served at the bar counter every evening. The hotel spa has shared bathing facilities separated by gender. Good quality fresh spring water is pumped up from below the hotel and heated for the baths. The minerals in the water and the negative ions produced from the waters, are said to give your metabolism a boost equivalent to a peaceful walk through a deep green forest! After a soothing bath, why not try the Jacuzzi? Or you could sweat it out in the sauna which is built with Shigaraki earthenware. The spa is open from 6:00 till 10:00 and 16:00 till 1:00 am. Massages are also available for a fee. Please ask at reception about this service.